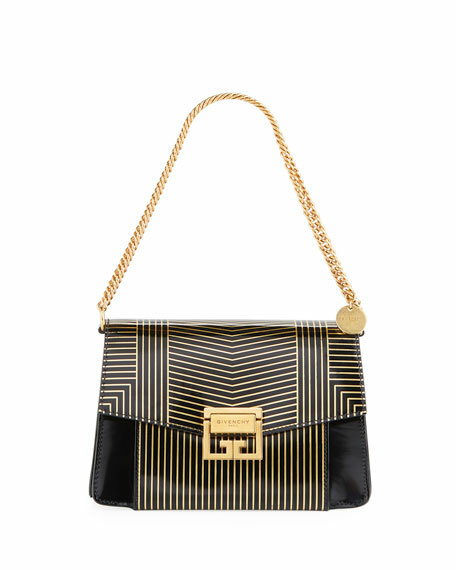 Givenchy goat leather crossbody bag with golden hardware. 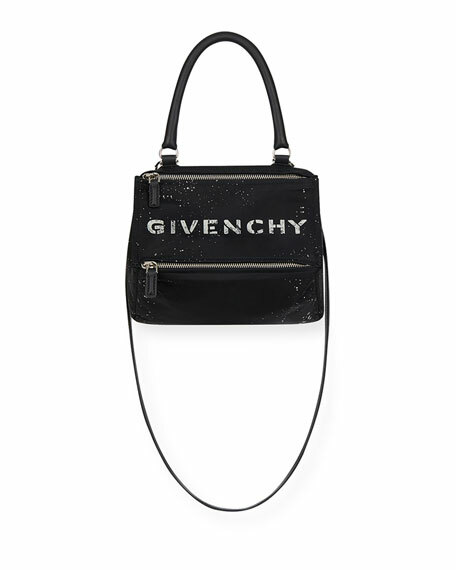 5.5"H x 8.7"W x 2.4"D.
Givenchy "Sugar" grained goatskin leather crossbody bag. Silvertone hardware. 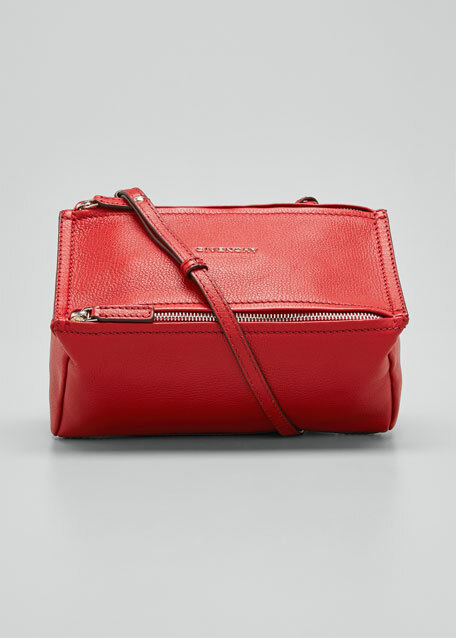 Removable crossbody strap; 22" adjustable drop. 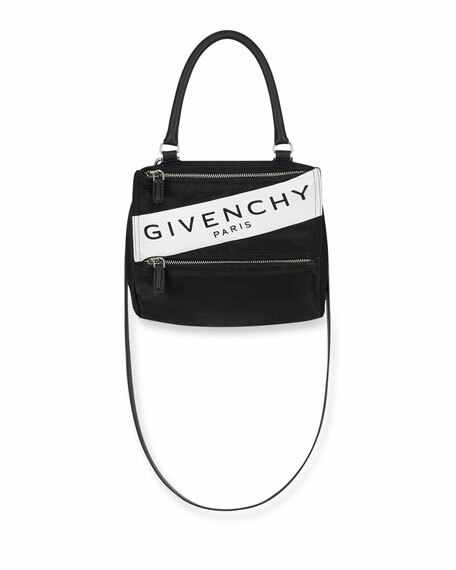 Angled double-zip top with Givenchy logo lettering. Front zip pocket. Canvas lining. 5"H x 9.5"W x 4.5"D. Weighs approx. 1lb. Made in Italy.